A Cost Effective Multi-purpose Solution for Your Wound and Pulmonary Care Needs. 1. Place a drawsheet or a folded sheet under the patient’s back. 2. Use the drawsheet to pull the patient on their side. 3. Place the Turnwedge™ behind the patient’s back, between the shoulders and the lower back. 4. Adjust the Turnwedge™ to the desired angle of turn by putting it further in or pulling it outwards. *Do not put a cover over the Turnwedge™. to lose its non-skid surface. the sheet covering the mattress. Copyright © 2019 | CarePlus Medical, Inc. | All Rights Reserved. 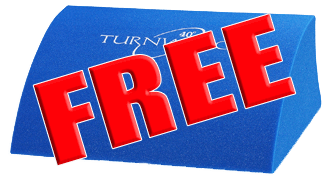 Click below to get your free sample and Special facility discounted pricing!